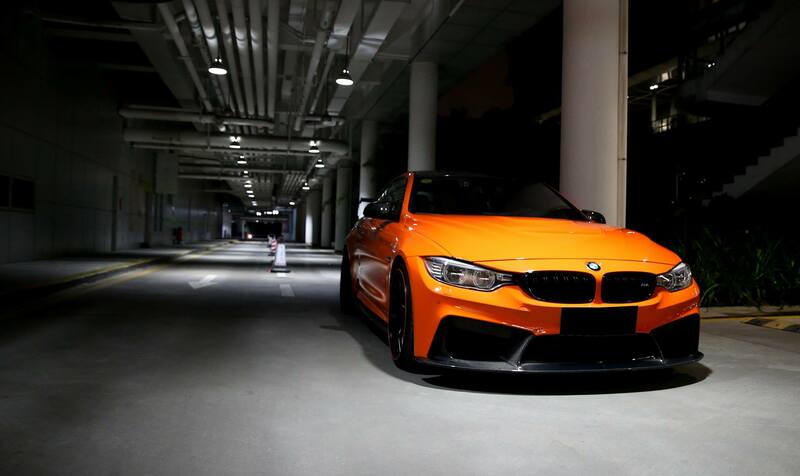 This BMW M4 gets a style upgrade similar to the iconic M3 GTS, wearing the BMW Individual Fire Orange color and striking tuning components. 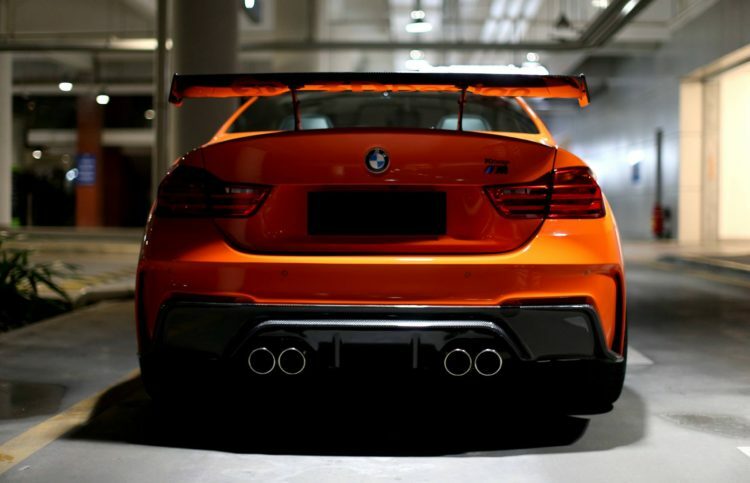 At the front, the M4 Coupe gets a new carbon fiber splitter, paired with a carbon fiber rear bumper and diffuser, an oversized racing wing, and other carbon fiber inserts that can been throughout the exterior body of the M4. The M4 carbon fiber bumpers are made by an “infusion” method and 2×2 weave carbon – similar to the Dry carbon method – making them lightweight and extremely strong. The rear wing is made with the Dry Carbon method. 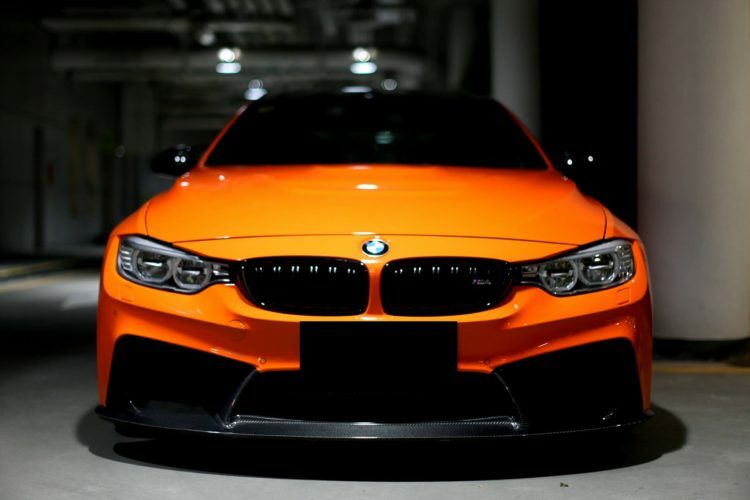 A modified bonnet with additional vent is somewhat reminiscent of the current BMW M4 GTS and ensures a lower temperature in the engine compartment. Matching side skirts, black kidney grille and black wheels provide dark accents to the Fire Orange, and the rear spoiler lip made of carbon contributes to the overall sporty look. In Europe, the carbon components can be obtained from 3D design through Carbon Fiber Dynamics, but they require a thick wallet – both the front and the rear bumper cost more than 7,000 euros, and the carbon-fiber rear wing sells for around 4,500 euros.